From your bedroom to your dining room, you can create a space that shows off your charming and rustic style. Decorative ring pulls feature pine cone designs for a subtle glimpse into the forest. Distressed wood finishes provide an antiqued look that can fit in with existing pieces in your home. Storage pieces for the bedroom and dining room provide you with doors, drawers and shelving to hold essential items while not compromising the style of the room. From the large farm house style table with dining bench to the grand sleigh bed, the Southern Pines collection will transform your home into a place where you can comfortable relax or effortlessly entertain. 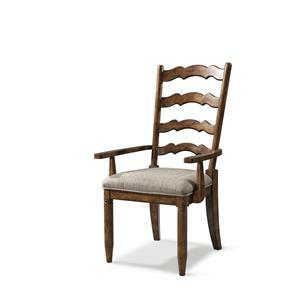 Browse other items in the Willow Creek collection from Morris Home in the Dayton, Cincinnati, Columbus, Ohio, Northern Kentucky area.